I was not looking forward to reading this book. I could not believe that it would be possible for anyone to write a novel for teenagers about cutting and self harm without being macabre and sensationalist. However Kenrick has succeeded in writing a searing novel. Unavoidably there is much detail about the paraphernalia of self harming; the boxes containing razors, the rituals involved, the cuts in flesh and the blood flow and scarring. This is shocking and disturbing. But the strength of the novel lies in the way that all this is nothing compared to the emotional pain of Emily, the main character. Emily is 16 and struggling with GCSEs, changing friendships and changing family relationships. The novel shows brilliantly the way the physical pain of cutting relieves momentarily but can never begin to compare with the emotional despair of a depressed teenage girl – something hard for most adults to grasp. Emily begins to self harm by pinching herself: ‘the pain is good; it helps me focus. It makes the hurtful and confusing feelings go away for a bit’, p.80. When this stops working, when Emily the straight grade A student cannot cope with the demands the school and her mother make on her to do well, then she begins to cut. Kenrick captures brilliantly the thinking processes of girls who resort to this concrete and addictive way of dealing with the painful difficulties of teenage existence. Emily’s problems with friendship are particularly well described in the book. Nothing can cover over the pain of the 16-year-old who loses her best friend and finds herself with no one to sit with or be with at school. Equally well done is Emily’s relationship with her family; her loving yet demanding and intrusive, mother; her increasingly distant and bewildered father – a subtle portrait of paternal failure; and her lovable younger brother who has learning difficulties and who gets all the attention until Emily fights back in her own self destructive way. Finally the book includes Emily’s sessions with a psychotherapist which begins her process of recovery. These sessions are realistic and illuminating in the demonstration of technique and in the therapist’s acceptance of the intractable nature of this symptom. 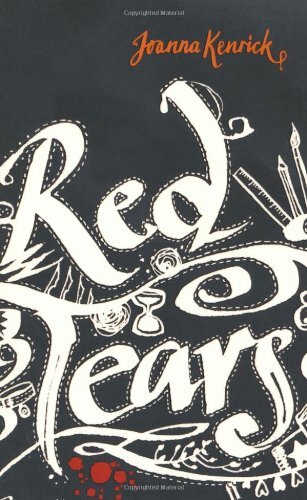 He is aware, as we all must be, that teenage girls who bleed ‘Red Tears’ will be prone to fall back on this method of dealing with difficulties, all their lives at times of vulnerability and overwhelming pain.